Used everything you possibly could to create decorations and gifts? If your answer was yes, you are wrong. 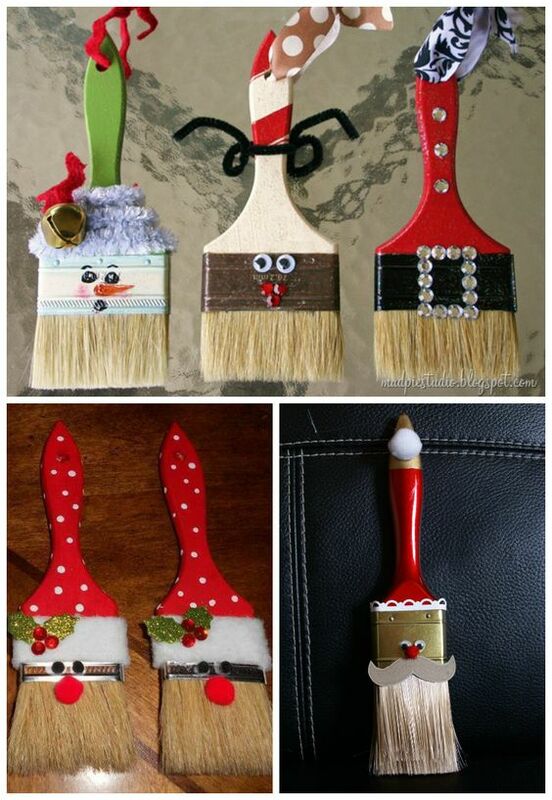 You can paint up your artist utensils and make them decorations too. Just look at these adorable additions and you will be splattering your paintbrushes in paint on purpose. Now that you have seen all these great DIY Christmas decorations, rummage through your excess craft supplies, your closet, and garage and create some of the best decorations you will have in years.